US e-tail giant Amazon sees "very good long-term prospects" in the Indian market but is evaluating the recent changes in FDI rules for online marketplaces to ensure that there are no "unintended consequences" for customers and sellers on its platform. Amazon, which has committed over $ 5 billion investment in India, said it has built its business around price selection and convenience. "...there is much uncertainty as to what the impact of the government rule change is going to have on the e-commerce sector there. We remain committed to complying with all laws and regulations, we will, but we're evaluating the situation," Amazon CFO Brian Olsavsky said in a recent investor call. The new rules, which came into effect from February 1, bar online marketplaces that have foreign investments from offering products of sellers in which they hold a stake and ban exclusive marketing arrangements. Another clause states that the inventory of a vendor will be seen as controlled by a marketplace, if over 25 per cent of the vendor's purchases are from the marketplace entity, including the latter's wholesale unit. Products from sellers like Cloudtail and Appario - that have equity investment from Amazon - have been taken off from Amazon.in's platform. Amazon's net sales during the fourth quarter rose 20 per cent to $ 72.4 billion. Net sales from international operations were at $ 20.8 billion in the quarter ended December 2018. For the first quarter of 2019, Amazon expects its net sales to be in the range of UDS 56-60 billion, translating into a growth of 10-18 per cent compared to the January-March 2018 quarter. "...our main concern is trying to minimise the impact to our customers and sellers in India. We've built our business around price selection and convenience. We don't think the changes help in those dimensions for both the customers in India and also the sellers," Olsavsky said. He added that the new regulations need to be interpreted to "make sure they don't have unintended consequences". "We feel very good about the long term prospects in India and doing a good job for both Indian customers and Indian sellers. The new regulations need to be interpreted...need to make sure they don't have unintended consequences," he asserted. 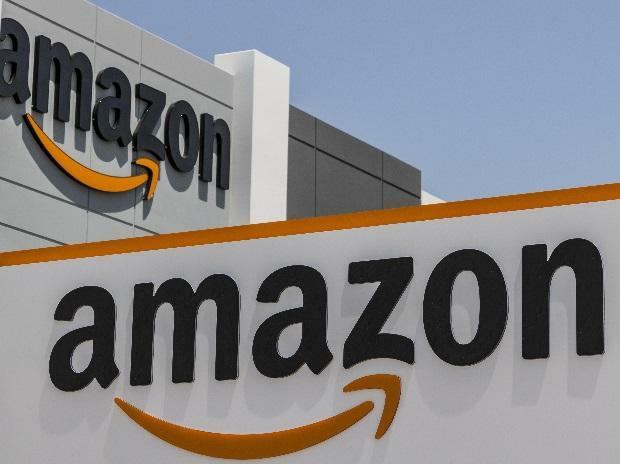 An Amazon spokesperson, on Thursday, had stated that the company will continue to engage with the government to seek clarifications and work towards minimising impact on its customers and sellers. Small traders have, in the past, complained that deep discounts offered by e-commerce firms were hurting their business. Various trader bodies had also alleged that these entities were giving preferential treatment to certain sellers. Both Amazon and Flipkart had extensively lobbied (directly as well as through associations and trade bodies) with government officials seeking an extension in deadline after the proposed changes were announced in December. They had also written to the government seeking more time to understand the details of the new framework. According to a Crisil report, nearly 35-40 per cent of e-retail industry sales - amounting to Rs 35,000-40,000 crore - could be hit due to the tightened norms. However, smaller players like Snapdeal and ShopClues have welcomed the development, saying it will create a genuine and robust e-commerce sector in India. Industry watchers said both Flipkart and Amazon were extremely hopeful that the government will soften its stand but given the magnitude of investments at stake, these companies had already started working on their plan B in case the deadline was not extended. Amazon had committed an investment of over $ 5 billion, while Walmart made its biggest bet by pumping in $ 16 billion for 77 per cent stake in Flipkart.